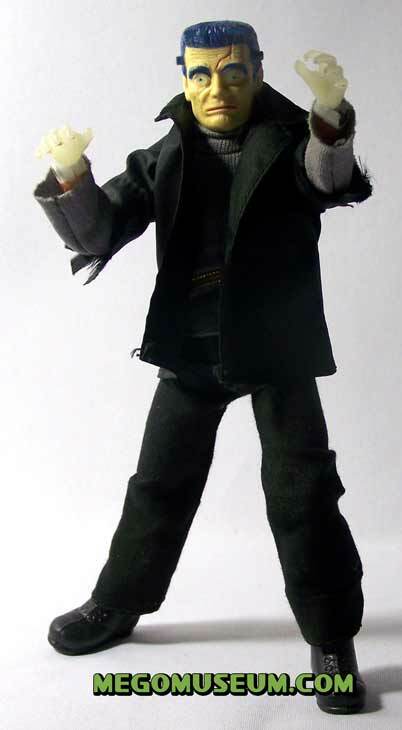 Flat Top Frankenstein is believed to be the earliest version of the figure, it was once theorised by a collector that the look was too close to the copyrighted makeup from Universal studios and was changed. This theory was more or less confirmed by Mego VP of R&D Neal Kublan who said that Mego wouldn’t have intentionally made a Frankenstein figure that had a flat top. 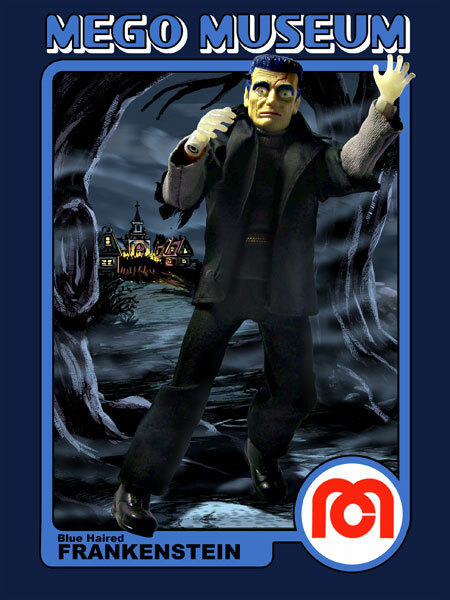 The Blue coloring was a quick fix to differentiate the character into they could change the sculpt to the regular Mego Frankenstein. 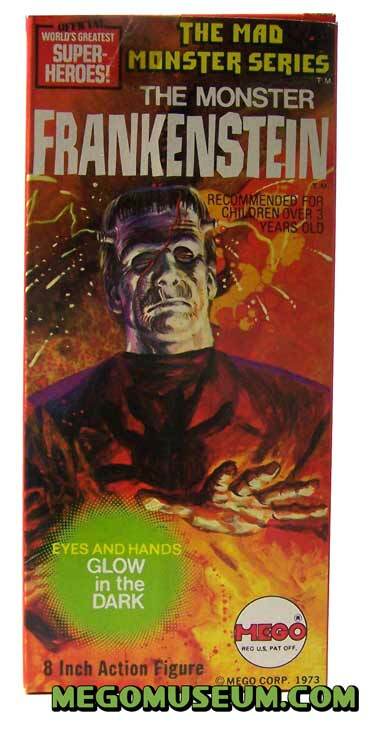 Blue Haired Frankenstein is only thought to have been packaged in the solid box, no packaged examples of this figure exist!